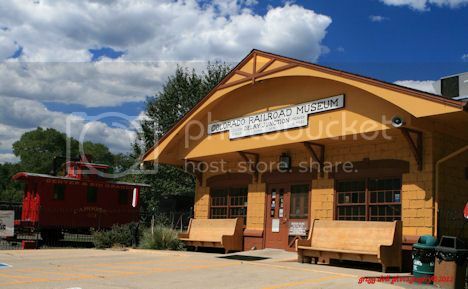 The Colorado Railroad Museum was started in 1959 in Golden, CO after the original collection was moved from Alamosa, CO. 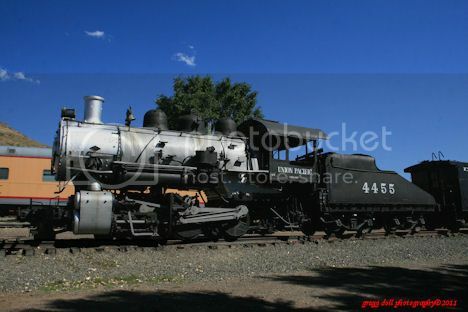 This is Denver and Rio Grande 583, a class C-28 2-8-0. 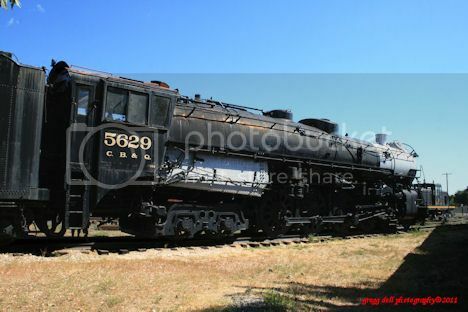 The 583 is the sole surviving standard gauge D and G steam locomotive. 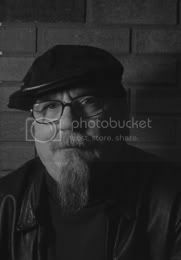 Robert W. Richardson started the collection in the late 1940s. That might be why the name Richardson appears on this building. 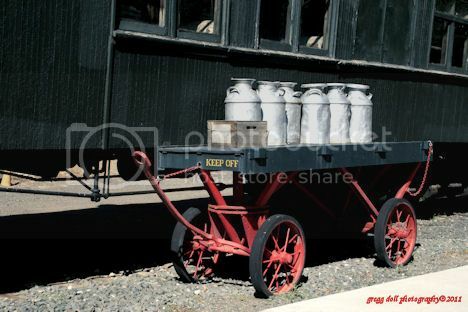 Old milk cans sit upon a typical freight mover that you would find on the tracks at most local railroad stations. 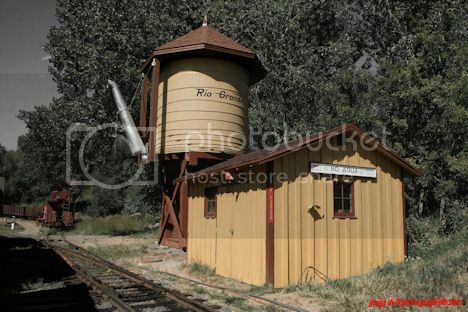 Large water tanks were located in most of the towns along the railroad routes so that the old steam locomotives could replenish their water supply along the road. Denver and Rio Grande Western 5771, an EMD F9(A), once powered the Rio Grande Zephyr between Denver and Salt Lake City from 1971 to 1983. 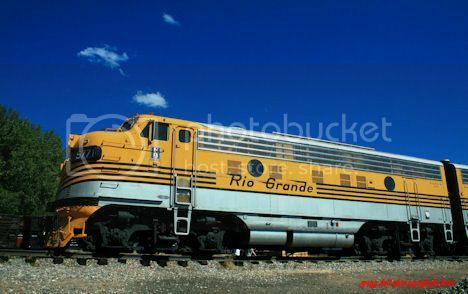 The Rio Grande was the last non-Amtrak intercity passenger train in the United States. It was taken out of service in 1984. 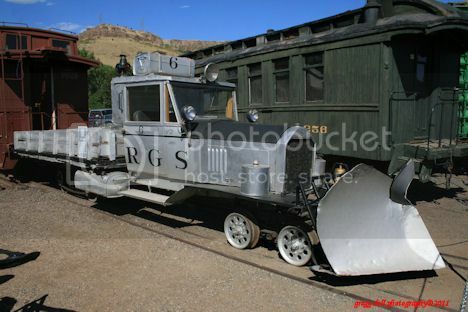 Rotary snow plows were once used to clear the railroad lines as they ran through the Colorado mountains between 1899 and 1965. 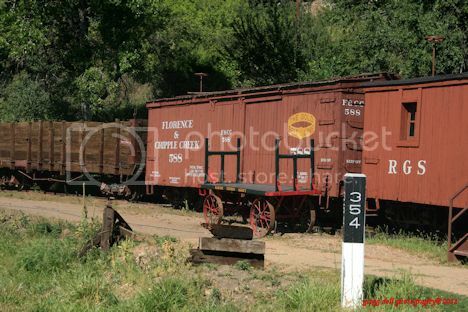 The plows had no power of their own and were pushed along the trail by other locomotives. 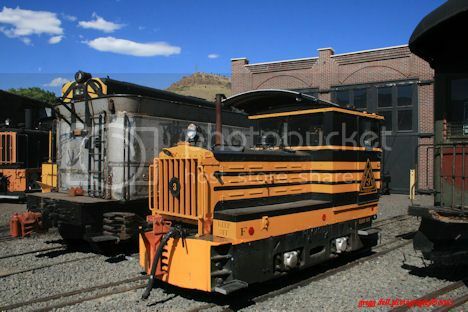 According to Wikipedia this 0-6-0 type, was operated by the Laramie Portland Cement plant hauling limestone from the quarry southwest of Laramie, Wyoming until 1965. 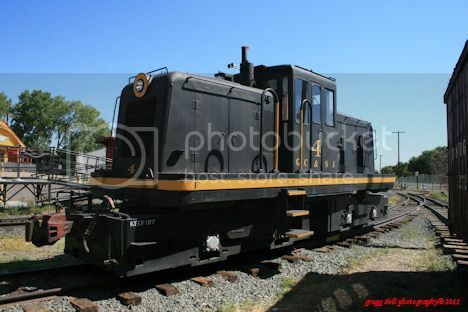 GE U4 is a narrow gauge switcher that came to the museum from the Golden City and San Juan Railroad of Plymouth, FL. These are the frames that are used to build the children's Thomas the Train. Thank goodness Thomas was coming the weekend after we visited the museum! The next two photographs show "Galloping geese". 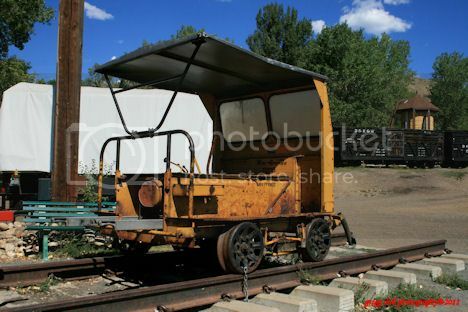 These odd looking trains were used to haul passengers on sightseeing tours throughout the Rocky Mountains. Three of the original seven are at the Museum. Using a freight box mounted on an automobile frame reduced construction and operating costs. The back half of these cars swayed back and forth, looking like geese waddling down the line. 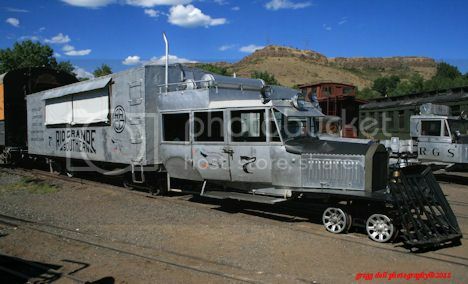 Speeders were used as line-maintenance vehicles. This one was built by Fairmont. 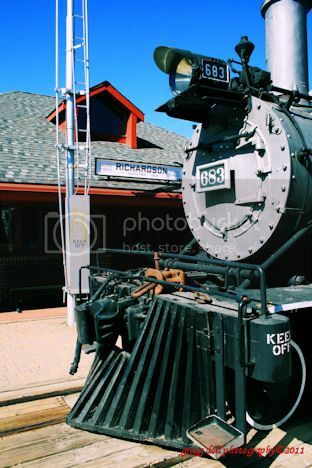 Built in 1940 by the Burlington Route Railroad in their own shops, the largest steam engine in the museum remained in service until the early 1960s when the Chicago, Burlington and Quincy Railroad took it out of service. 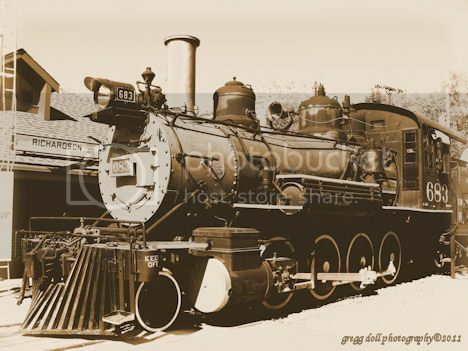 Number 5629, a 4-8-4 locomotive, is only one of four locomotives of it's type still in existence. 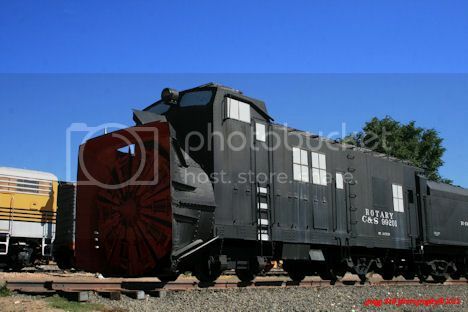 This General Electric Switcher was used to move rolling stock and locomotives around the yard within the museum grounds. How about this for a design for a wall painting, in the tried-and-true Art Nouveau style? : http://EN.WahooArt.com/A55A04/w.nsf/OPRA/BRUE-8BWN3L, by the famous English artist, Audrey Beardsley himself. You can also order a canvas print of the picture from wahooart.com.